relatively inexpensive souvenirs of their visit. 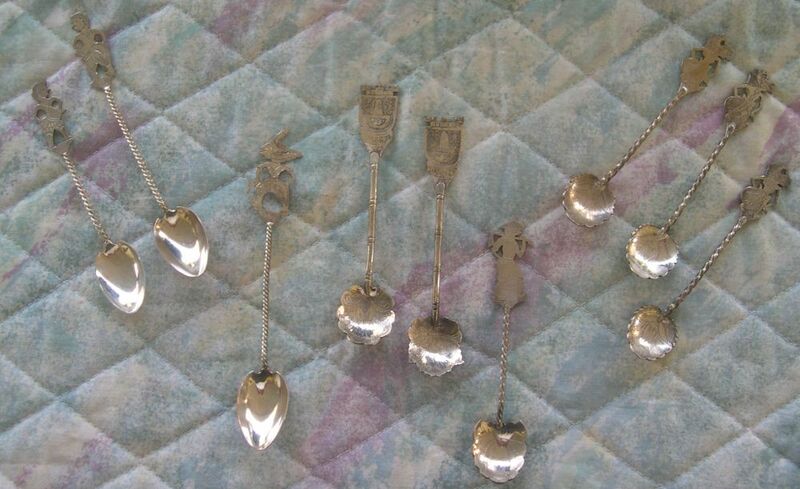 The silversmiths obliged. 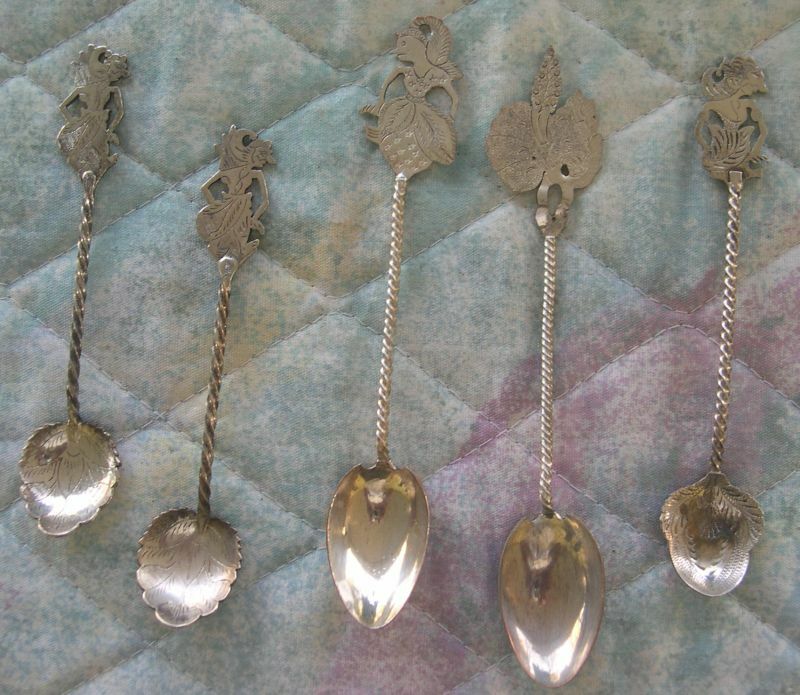 These spoons are 800 purity silver and show various types of wayang puppets. 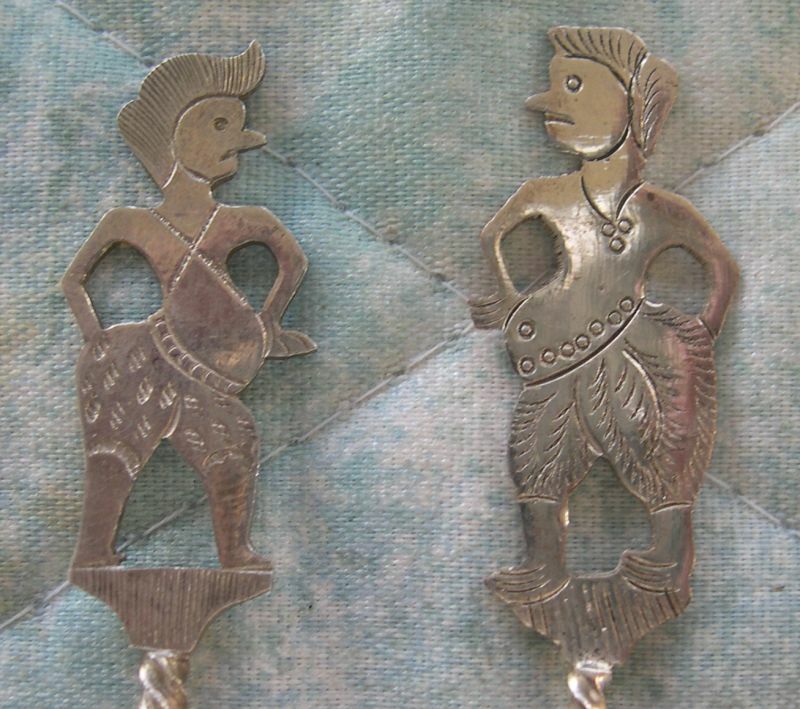 The silversmith was making fun of the White Tourists and I suspect that the tourists who bought these spoons did not even realize that they were the object of derision. In a typical Java wayang puppet, the 'good' characters all have a small waist, eyes are pointed down and the nose is pointed down in a gesture of humility. However, in these pieces the eyes and nose are pointed up in a haughty manner. Of course the very large stomach and large 'rear end' as well as the prominent belly button were an obvious poke at western bodies. Also note the unusual hair style.